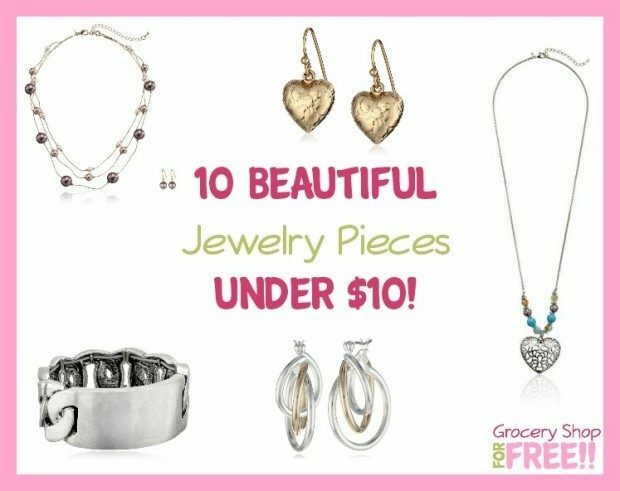 10 Beautiful Jewelry Pieces Under $10! You are here: Home / Great Deals / Amazon Deals / 10 Beautiful Jewelry Pieces Under $10! Fall is here and it’s time to update your look! Here are some items that are stylish yet inexpensive enough that you can get several! Some of these pieces will get an extra 20% off when you use promo code 20Veterans at checkout! 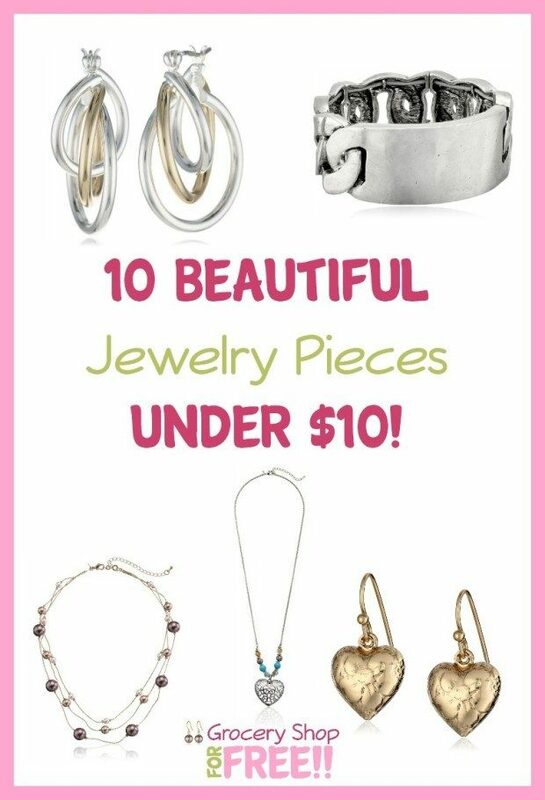 Here is a list of 10 Beautiful Jewelry Pieces Under $10! 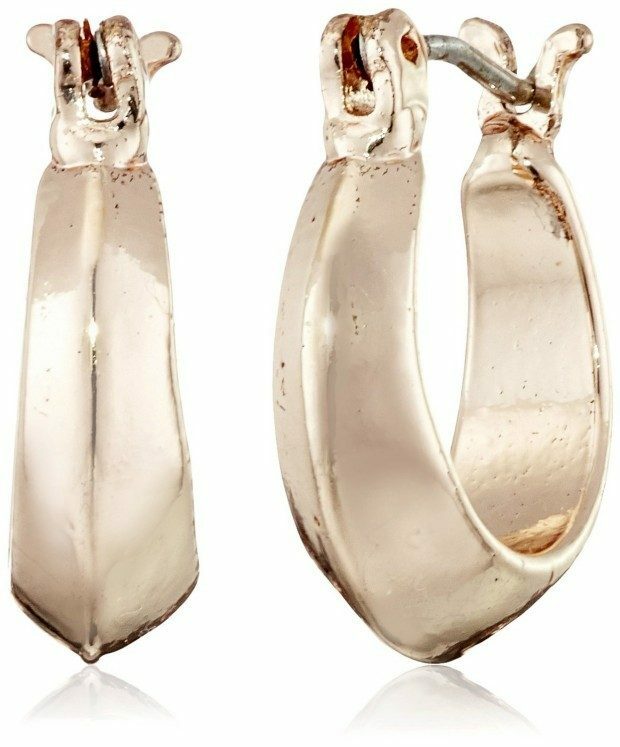 Anne Klein “Metal Moment” Hoop Earrings – Love this rose gold finish – perfect for fall! 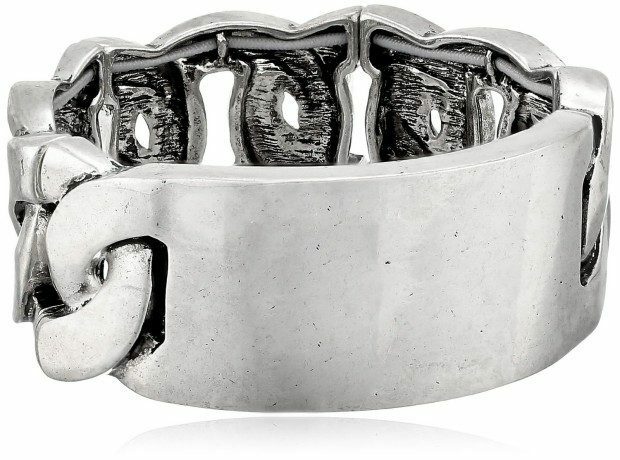 BCBGeneration Chain Sox Stretch Bracelet – This chunky bracelet is going to look great with your long sleeve sweaters! 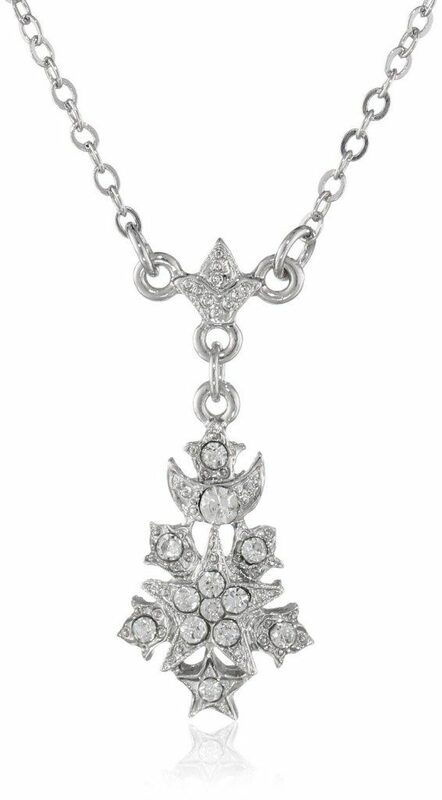 Downton Abbey “Stardust Carded” Pendant Necklace – This necklace is beautifully made of a moon and stars. 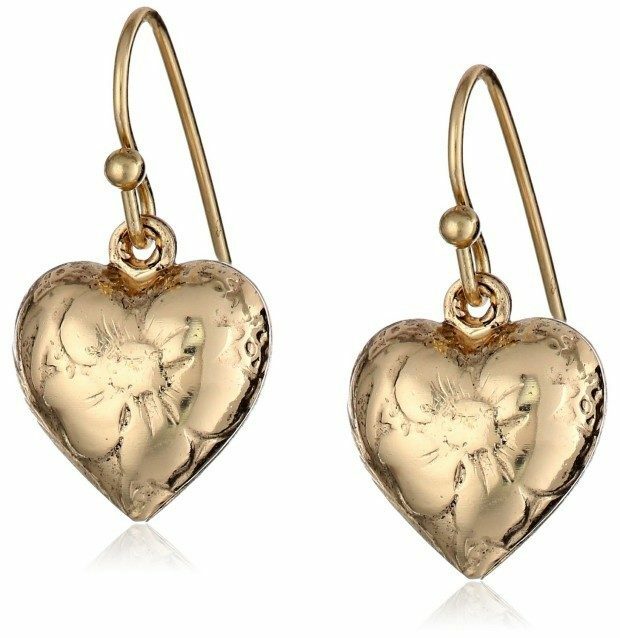 1928 Jewelry Heart Charm Earrings – The etched quality of these is so pretty! 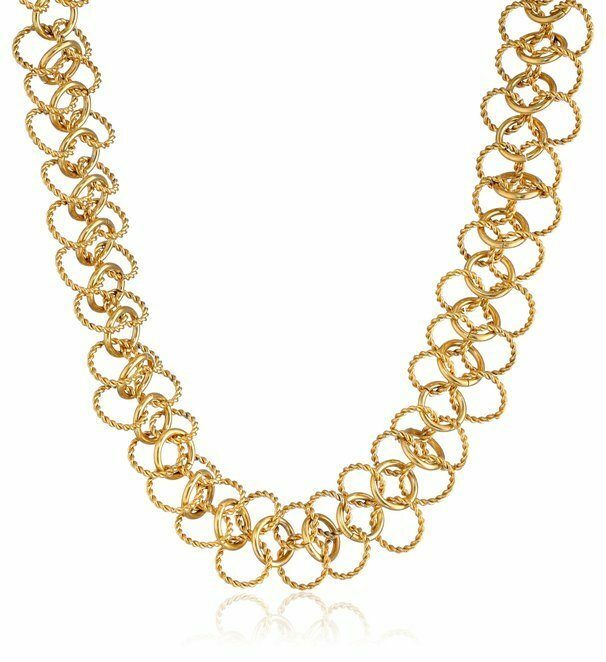 Stainless Steel Yellow Interlocked Multi-Circle Necklace, 18″ – So pretty and designed to pickup the light! 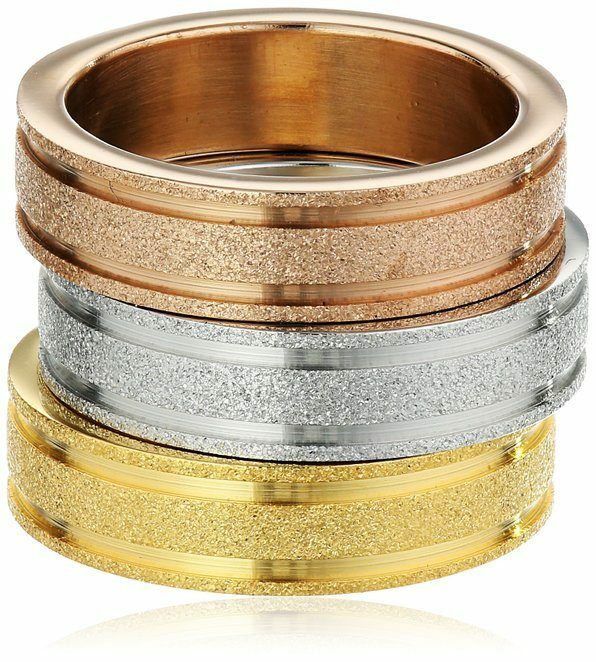 3ps Lady’s 18kt Rose Gold Plated with Glitter Accents Set Ring – This stacking ring set is so unusual with it’s glitter finish! Nine West “Metal Motion” Tri-Tone Trio Stud Earrings – The satin finish on these is going to look fabulous on you! 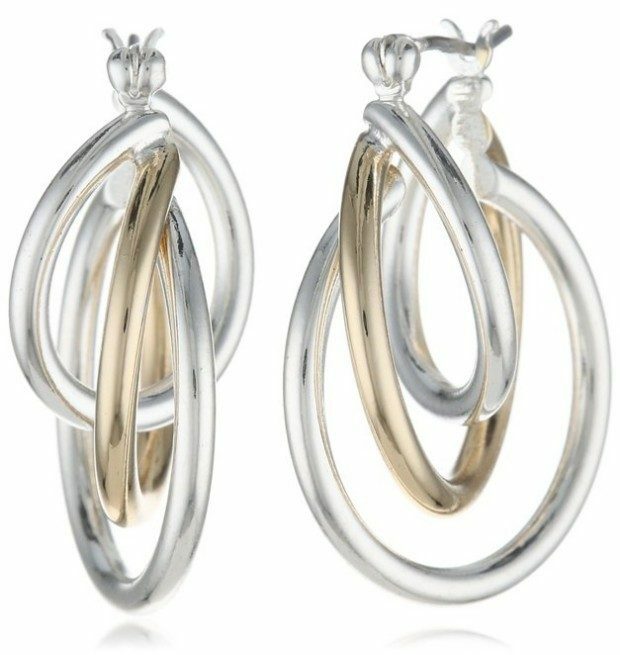 Napier “Napier Classics” Two-Tone Twisted Hoop Earrings – Whether you are a gold person or a silver person, these will work for you! 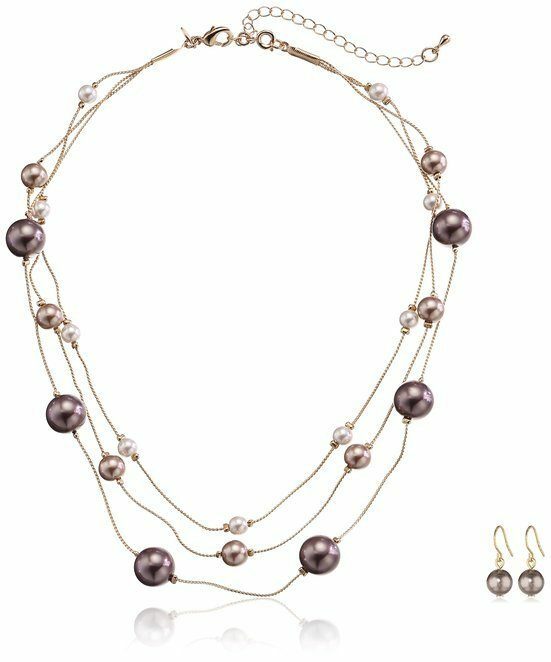 Colored Simulated Pearl Illusion Chain Earrings and Necklace Set – Love the nice warm color of these simulated pearls! Silver-Tone Filigree Artisan Beaded Stone Heart Necklace, 30″ – Give this heart to someone you love!